This selection of Peachleaf Bellflower is a popular border subject that produces pure white flowers on 30″ stalks in June and July. Blooms last a good week in a vase if the stems are cut as the first flower or two opens. We're told that this is one of the best Campanulas for the South. Campanula is a fine group of garden plants in blue or white shades ranging from very dwarf to 6″ tall that look superb in the perennial border. Some bloom for the better part of summer. They need only a moderately rich, well-drained soil and full sun or partial shade. For more information on Campanula care, click on Growing Guide. I'm in Zone 6. I grow these along a streetside wire fence in heavy shade from multiple trees, no special watering except in droughts, no winter mulch, and they do very well, although they do need a bid of support in this much shade. The plants get bigger with more flowering shoots every year. Dead-heading extends the flowering for many weeks. Highly recommended lovely clear white and delicate flower form. 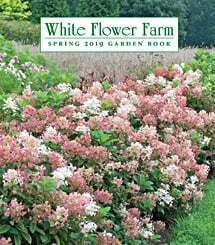 Variable late spring through summer blooms in shades of blue, lavender, and violet predominate, but white and pink varieties are also available in this charming genus. Growing to heights ranging from 3″ to 30″, there is a Campanula for almost every garden situation, from the front of the rock garden to the back of the perennial border. Light/Watering: Most varieties will do well in full sun or light shade, the latter vital in the South for all but C. persicifolia and C. pyramidalis. Campanulas prefer evenly moist soils with good drainage and are at their best in climates with cool nights. Fertilizer/Soil and pH: Bellflowers thrive in average, well-drained soils with a pH range of 6 to 8 and will benefit from one light application of a balanced 10-10-10 fertilizer in early spring. A mulch applied in summer will help keep your plants' roots cool, which they prefer. Keep mulch 1–2″ away from the crown of your plants to avoid rot. Pests/Diseases: Campanulas are generally pest-free but watch for distorted growth or yellowing leaves that may signal an aphid infestation. If aphids are apparent, spray them with insecticidal soap. Slime trails and ragged holes in the foliage indicate slug predation. Intervene before populations build by handpicking, trapping, or using physical barriers like diatomaceous earth or copper sheeting. When cultural conditions are correct, Bellflowers rarely become diseased; however, they may contract rust diseases or rot diseases. Rust looks like powdery, reddish brown or orange pustules on the undersides of leaves. Remove infected foliage and plant parts and treat plants with wettable sulfur at the beginning of the next growing season to prevent recurrence. If plants turn black at the base and the crowns seem to be rotting off, soil-dwelling fungi may be the cause. Make sure the soil is well drained, and avoid overwatering and/or overcrowding. Keep winter mulches away from the crowns of the plants and clean up and destroy any affected plant parts. Companions: Campanulas are at home in the company of Lamb's Ear (Stachys), Lady's Mantle (Alchemilla), Columbine, and Roses. Their delicate form and cool colors complement many other perennials. Reflowering: While deadheading can be tedious for the small-flowered varieties, you will be rewarded with a longer bloom season. Carpathian Harebell (C. carpatica) and C. lactiflora may be cut back by a third after flowering to promote new growth and sporadic rebloom. Serbian Bellflower (C. poscharskyana) does beautifully as a ground cover even in dry conditions and/or partial shade. Cut back to 2″ tall after flowering. You may deadhead Peachleaf Bellflower (C. persicifolia) for longer flowering but this is tedious, as each individual flower must be removed so as not to cut off new buds along the flowering stem. After bloom season, remove old flower stems down to the basal foliage. Dividing/Transplanting: Divide Carpathian Harebell (C. carpatica) every 2–3 years in early spring, and Peachleaf Bellflower (C. persicifolia) every 3–4 years. All Campanulas may be transplanted in early spring or fall with sufficient soil and thorough follow-up watering. End-of-Season Care: Leave basal growth on C. carpatica, C. poscharskyana, and C. persicifolia for the winter to help protect the crowns of the plants; cut back any dead or unattractive foliage in early spring. The foliage of Campanula lactiflora may be cut back to 3″ in late fall. Early Spring: Apply a light application of 10-10-10 fertilizer or side-dress with compost and organic amendments when new growth appears. Supplement nitrogen during periods of prolonged rain to counter natural leaching. Water well if it is unseasonably dry, as plants prefer evenly moist soil. If rust diseases were present during the last growing season, treat plants with wettable sulfur to prevent recurrence. Divide Carpathian Harebell (C. carpatica) every 2–3 years, and Peachleaf Bellflower (C. persicifolia) every 3–4 years. Mid-Spring: Watch for aphid infestations and spray them with insecticidal soap. Monitor plants for signs of slug activity and control pests if present. Mulch plants as soil warms to buffer soil moisture and temperature. Late Spring: Taller forms may need staking, especially if grown in partial shade. Watch for blackening basal foliage or sudden wilting indicating crown rot and treat as necessary, being careful to remove and destroy dead leaves or stems. If orange or reddish-brown pustules appear on the undersides of leaves, rust disease is present. Remove infected plant parts and cut back foliage as needed if disease is disfiguring. Summer: Pinch off dead flowers to encourage longer bloom period. Small, sharp scissors may be used to deadhead the small-flowered forms like C. carpatica. Groom plants by removing yellow or dead leaves. Alternatively, cut C. carpatica and C. lactiflora back by one-third after flowering. Water during dry periods. Fall: Cut the foliage of Campanula lactiflora varieties back to three inches above soil level. Stems and leaves of C. carpatica, C. persicifolia and C. poscharskyana may be left intact over the winter.